As Small Business Saturday closed out its eighth year on Saturday, November 25th, shoppers provided an encouraging boost to small businesses at the start to the holiday shopping season. According to data from the 2017 Small Business Saturday Consumer Insights Survey, released today by the National Federation of Independent Business (NFIB) and American Express (NYSE:AXP), an estimated 108 million consumers reported shopping or dining at local independently-owned businesses. The Small Business Saturday Consumer Insights Survey also found that 70% of U.S consumers are aware of Small Business Saturday. In addition to support on Main Streets, shoppers turned out for online small businesses – with 35% reporting that they Shopped Small® online on November 25th alone. The 2017 Small Business Saturday 50-State Survey, also released today by the NFIB and American Express, showed 73% of consumers who reportedly Shopped Small at independently-owned retailers and restaurants on Small Business Saturday did so with friends or family. The most reported reason for consumers aware of the day to shop and dine at small, independently-owned businesses was to support their community (64%). Shoppers made Small Business Saturday an all-day affair, as 58% of those who participated in the day reported shopping or dining at more than one small, independently-owned retailer or restaurant on Small Business Saturday this year. On a national level, nearly half (48%) of consumers who participated in Small Business Saturday reported visiting a small business that they had not previously been to on Small Business Saturday. Relative to the national average, shoppers in Colorado, Hawaii, and Vermont reported pet stores as the type of small business frequented the most; while shoppers in Illinois, Massachusetts, and New York reported visiting a bakery the most; and shoppers in Georgia, Idaho, Texas reported visiting spas, nail salons or hair salons the most. Full results of the survey and an interactive infographic with state by state breakouts can be found here. At the local level, Small Business Saturday is fueled each year by grassroots activities organized by Neighborhood Champions— small businesses, business associations, local Chambers of Commerce, and other community organizers that rally their communities to celebrate Small Business Saturday. This year, more than 7,200 Neighborhood Champions (a 7% increase from 2016) across all 50 states, Washington, D.C. and some U.S. territories — engaging an estimated 2.2 million small businesses — celebrated Small Business Saturday on November 25th, showing their love and appreciation for small businesses through activities such as shopping passport programs, pop-up holiday markets, sleigh rides and a Shop Small sand sculpture. Through the Small Business Saturday Coalition, more than 575 organizations helped spread the Shop Small message this year, an 18% increase over last year. The Coalition, led by Women Impacting Public Policy (WIPP), was created in 2011 to help amplify Small Business Saturday and is comprised of national, state and local associations that help coordinate activities for Small Business Saturday with consumers and small business owners. A total of 239 federal officials and agencies showed support for Small Business Saturday through posts on Facebook and Twitter. The United States Senate unanimously passed a resolution designating November 25th, 2017, as Small Business Saturday. 653 city proclamations in support of Small Business Saturday were issued by mayors and other elected officials covering all 50 states and Washington, D.C.
11 unique public service announcements encouraging the public to Shop Small were recorded by government officials across the nation. American Express enlisted the support of Corporate Supporters to help drive excitement for Small Business Saturday. Nearly 100 companies, including Grubhub, Etsy, Ace Hardware, FTD, Square and Liberty Mutual Insurance came together to promote Small Business Saturday and the Shop Small movement. Small business owners successfully used the Shop Small Studio nearly 105,000 times for customizable and ready-to-use marketing materials and/or merchandise to help promote their businesses on Small Business Saturday, up 23% from 2016. As part of a new pilot program, downloadable marketing materials were offered in Spanish and 15% of Studio visitors requested assets in Spanish. From the first of November through the 25th, there were more than 605,000 social media posts combined on Facebook, Instagram and Twitter about Small Business Saturday and/or the Shop Small Movement, and nearly 177,000 were posted on November 25th alone. Posts included consumers showing-off their favorite small businesses, business owners hosting events with promotions and activities taking place on Small Business Saturday, as well as government officials, celebrities and artists showing their support for the day and their favorite small businesses. OPEN Forum® – A platform that combines content and community to deliver advice to small business owners. This is where small business owners come together to help each other get unstuck on issues like expanding their business, marketing and more complex topics like expense management. 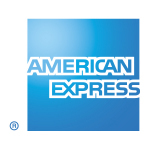 American Express® Merchant Marketing Corner – An online hub where American Express® Card-accepting merchants have access to free online advertising, Shop Small Map inclusion, signage and marketing materials. Mark your calendar for Small Business Saturday 2018, which will be celebrated on Nov 24th! November 25th was the eighth annual Small Business Saturday. 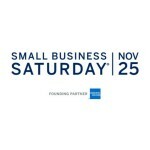 Dedicated to supporting the diverse range of local businesses that help to create jobs, boost the economy, and enhance neighborhoods around the country, Small Business Saturday was created by American Express in 2010 in response to small business owners’ most pressing need: getting more customers. Learn more at and connect with us on ShopSmall.com, instagram.com/shopsmall, facebook.com/SmallBusinessSaturday. NFIB is the nation’s leading small business association, with offices in Washington, D.C., and all 50 states. 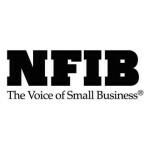 Founded in 1943 as a nonprofit, nonpartisan organization, NFIB gives small and independent business owners a voice in shaping the public policy issues that affect their business. NFIB’s powerful network of grassroots activists sends their views directly to state and federal lawmakers through our unique member-only ballot, thus playing a critical role in supporting America’s free enterprise system. NFIB’s mission is to promote and protect the right of our members to own, operate and grow their businesses. More information about NFIB is available online at www.NFIB.com/news. Morning Consult, on behalf of American Express and the National Federation of Independent Businesses (NFIB), from November 25-26, conducted the 2017 Small Business Saturday 50-State Survey, among a national sample of 10,000 Americans aware of Small Business Saturday. The data cited are estimated based on self-reported data from this survey and do not reflect actual receipts or sales. Morning Consult used a statistical technique called multilevel regression and post stratification (MRP) to construct state-level estimates from the national survey data. The state level estimates were weighted to approximate a target state level sample based on age, gender, and education. The interviews were conducted online in English, results from the national survey have a margin of error of plus or minus 1 percentage point, and the state-level margins of error vary by state (typically 2 percentage points to 5 percentage points). The Small Business Saturday Consumer Insights Survey was conducted by Teneo among a nationally representative sample of 2,160 U.S. adults 18 years of age or older. The sample was collected using an email invitation and an online survey. The study gathered self-reported data and does not reflect actual receipts or sales. It was conducted anonymously on November 26, 2017. The survey has an overall margin of error of +/- 2.1%, at the 95% level of confidence. Projections are based on the current U.S. Census estimates of the U.S. adult population, age 18 years and over. 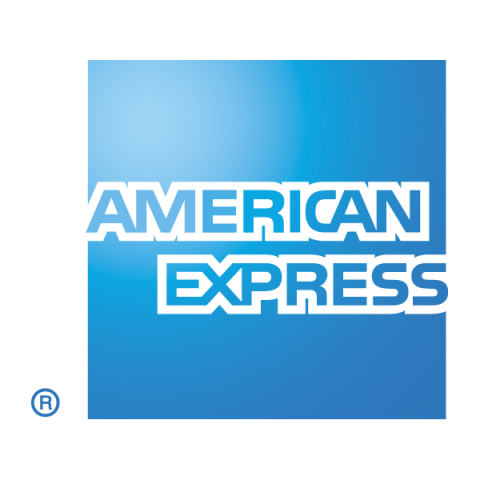 The survey was commissioned by American Express and the National Federation of Independent Businesses (NFIB).